Here’s something no one thought they’d ever read: the older generation of Americans are leading a surge in using marijuana. Not the younger. The older. Why? 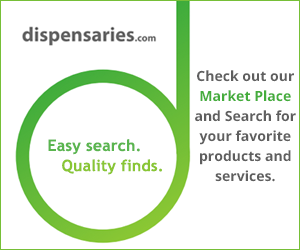 Because for some people cannabis products help manage pain better than other medications. And for others, changing laws have led them to try cannabis recreationally. “I don’t feel high or stoned. All I know is I feel better when I take this,” 98-year-old Ruth Brunn told the New York Times. She was referring to the cannabis oil pills she takes to help reduce the pain she experiences in her shoulders and hands from neuropathy. She is not alone. The senior citizen crowd actually had the biggest increase in marijuana use in 2013-2014, according to CBS This Morning. The number of older Americans who use marijuana jumped to more than 4.3 million during that time. A study released in 2017 addresses the issue of older Americans and the use of marijuana. The study was written by researchers at the University of Iowa’s Department of Health Management and Policy. The researchers also found that cannabis use is increasing for those over the age of 65. Some of it can be attributed to aging Baby Boomers who have a more tolerant attitude toward marijuana use, while for others it’s about managing pain. The report stresses that more research is needed into the issue. One of the main reasons older people are turning to marijuana for pain is many feel it is a safer alternative to opioids, which has become an addiction issue for many users, according to the AARP. The Centers for Disease Control and Prevention reported that 14,800 Americans died from a fatal overdose of prescription painkillers in 2014. That’s a four times increase from 1999. Doctors began prescribing opioids for pain in greater numbers in the 1990s, which has led to widespread misuse and abuse. The number of people treated for opioid addiction grew 400 percent between 1998 and 2008, according to the AARP. Many older people feel cannabis is a safer alternative for pain management. The New York Times reported that use is becoming so widespread that it will be a major topic for the upcoming convention for the Society for Post-Acute and Long-Term Care Medicine. As part of the convention, a “Marijuana 101” session will be held about the potential benefits and risks of using cannabis for pain prevention. Some nursing homes also are starting marijuana programs. For example, the Hebrew Home at Riverdale in New York City has started a program to help people use medical marijuana for pain management as an alternative to prescription drugs, the Times reported. Part of the reason for the program is that Daniel Reingold, chief executive of the company that runs the home, said he saw firsthand how cannabis helped his father in 1999. Dying from cancer, he was given marijuana-infused tea that helped ease his pain and increase his appetite. “The only relief he got in those last two weeks was the tea,” Reingold told the Times.